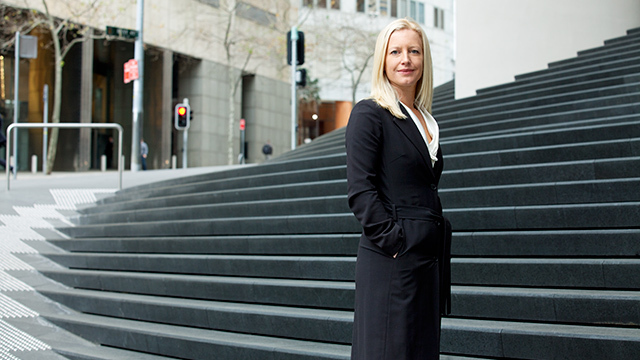 Macquarie Graduate School of Management (MGSM) seeks to achieve gender balance in domestic student enrolments and intake through its Women in MBA (WiMBA) corporate partnership program. The WiMBA sponsorship program encourages diversity in leadership by partnering with corporate and government organisations to identify their top female employees and support them through an MBA. MGSM has committed to invest close to $4 million to date – the largest ever investment from an Australian business school in the postgraduate business education of women. Financial – MGSM matches the contribution of the corporate partner dollar for dollar (up to 50 per cent). On-the-ground – the employer provides practical support to enable the recipient to attend class, undertake additional study and group work and complete assignments. Guidance and advice – the employer pairs recipients with in house mentors/sponsors to provide them with guidance, support and advice throughout their MBA program and also in helping them to develop their post-MBA career pathway. Partners are a scale and size to support the requirements of sponsorship. Note: The WiMBA program has been strongly supported by corporate partners with the current allocation of sponsored places now filled. MGSM will update when more places are available. "The MGSM MBA has given me the confidence to think BIG."